Manchester City's 6-0 win over Chelsea on Sunday evening was comprehensive to say the least. The Citizens put the Blues to the sword during the opening exchanges of the first half and they were 4-0 up before the interval thanks to goals from Raheem Sterling, Ilkay Gundogan and a brace from Sergio Aguero. The second-half was equally dismal for Chelsea and Aguero went on to complete his hat-trick - the second in eight days for the Argentinean. 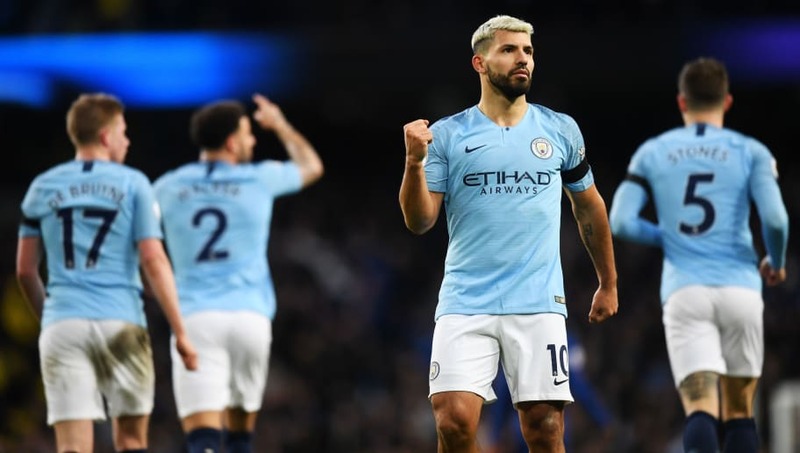 The hat-trick was also significant as it meant that ​Aguero has now equalled Alan Shearer's Premier League record of 11 hat-tricks and became the first player to score Premier League hat-tricks in consecutive games since Didier Drogba in 2010. ​​As good as ​City and Aguero were, ​Chelsea were a whole lot worse. The defeat was the first time the Blues had conceded four goals before half time in a Premier League match and the final result was their heaviest defeat in any competition since 1991. Whatever this football is we’re playing - or attempting to play - it doesn’t work in England. And we don’t have the time to wait for 'better players‘. Enough of this nonsense. The defeat was Maurizio Sarri's heaviest as a manager and he was put under intense scrutiny by a set of frustrated Chelsea supporters - with some also being confused as to why he refused to shake Pep Guardiola's hand at full-time. Mad people say Sarri’s never achieved anything. He’s managed to make me leave a game after 25 minutes, that’s fairly impressive. FT 6-0 #mcfc City were sublime, #cfc utterly abject. If Sarri cannot motivate his players - as he has publicly stated in the past - how much longer can he go on? Sarri walks straight down the tunnel with no handshake for Guardiola, who looks bemused. Would not be surprised if Sarri offers to resign. Sarri ashamedly does NOT shake hands with Pep!! ​​And finally, spare a moment for Jorginho, who opted not to join Manchester City in the summer - a decision the Italian midfielder is surely regretting now. Jorginho is out there making short passes with tears in his eyes. "I'm a regista", he tells himself. "I'm a regista!"